In the course of research several weeks ago I ran across the work of David Lipscomb Cooper. I knew the name, but never really explored his life and work beyond a passing acquaintance. Cooper is probably best known for his articulation of pretribulationalist dispensational premillennialism. Born in Nashville and educated at Nashville Bible School under his namesake, David Lipscomb. He then studied at University of Louisville and Southern Baptist Theological Seminary (Louisville,KY). Cooper taught at Harper College (Harper, KS) before taking a post as head of the department of ancient languages at Abilene Christian College. 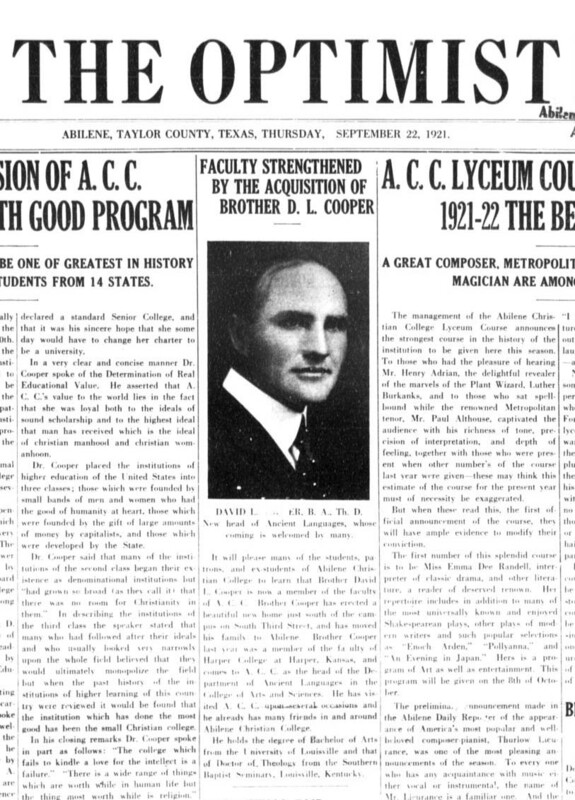 David Lipscomb Cooper, Abilene Christian College, Optimist September 21, 1922, page 1. His study of Jewish missions at Moody Bible Institute (Chicago, IL) drew upon his interest in Israel, Zionism, Messianic Judaism, apologetics and missions. Fused with premillennialism, these commitments informed his urgent and zealous writing and speaking ministry. After studying at Moody he went west to Bible Institute of Los Angeles, where he taught until the Depression forced his lay off. He then established Biblical Research Society, a teaching ministry he led until his death in 1965. He devoted the remainder of his life and career to writing, teaching, conducting conferences and travel. 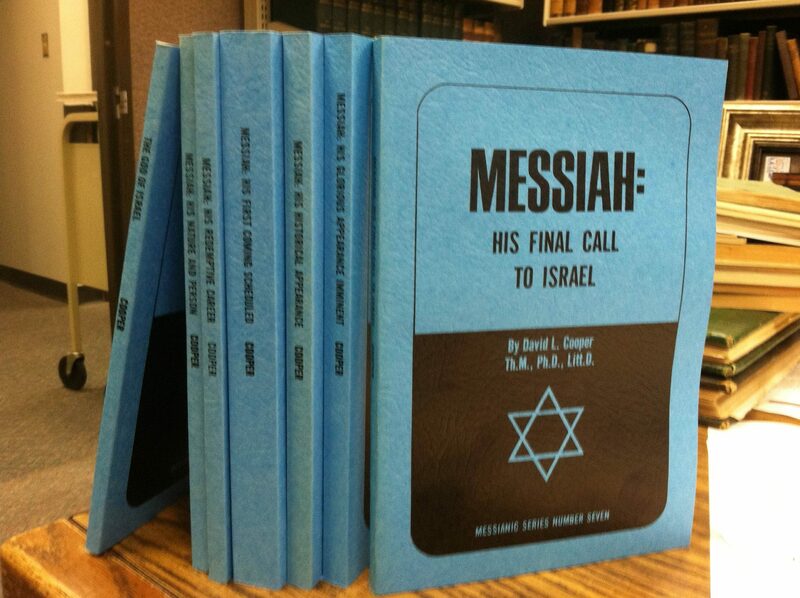 Thanks to the kind generosity of BiblicalResearch.info and Ariel Ministries we now have a nice matched-set of Cooper’s seven-volume Messianic Series. This set is upstairs in technical services now and when cataloging is complete, it will be shelved in the Center for Restoration Studies and will be available for research. This entry was posted in ACU history, News, This Just In by Mac Ice. Bookmark the permalink.